The Uber Lite app is currently in Beta and will first be available to users in Delhi, Jaipur and Hyderabad, followed by a wider roll-out. 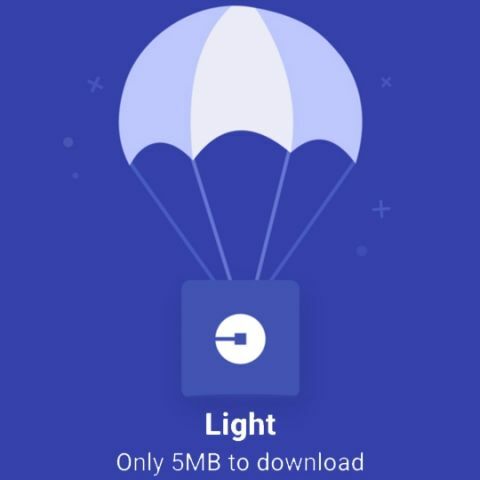 Uber has launched a new app designed for entry-level smartphones with storage restrictions and for areas with low network connectivity. Called Uber Lite, the app has been designed by Uber developers based out of Bengaluru and is less than 5MB in size. The company claims that the new app has a reponse time of 300-milliseconds. It is made to load faster by cutting down the information presented to riders, creating location shortcuts and loading the map only when users request for it. This way, the app downloads less data when in use. When users launch Uber Lite, the app detects their current location and also presents them with key landmarks around their location to make the selection procedure faster. Uber calls this feature Guided Pickups and it is aimed at facilitating minimal tyiping for users. The Uber Lite app also stores commonly selected locations on a user’s device to make requesting subsequent rides easier and more intuitive. "The app caches the city’s top places so that even when you are offline, no network is needed for them to surface. And the more you use Uber Lite, the smarter the app gets, learning where you go most often and surfacing those options for you to tap first, so you don’t have to type your destination every time," the company noted in its blogpost. The app’s interface relies heavily on tapping, which is another way of making the process of requesting rides faster. A significant change in the way maps are presented in comparison to the main Uber app is a new feature called Maps On Demand. With this new feature, users get an option to load the map to track their rides only if they want to do so. Uber Lite presents written information about the ride status so as to save on the data needed to pull up a map. It’s good that Uber did not completely do away with maps in the lighter app because it’s one of the most popular features of the main app. Further, Uber Lite carries forward options to contact the driver, emergency services and share ride status with others, same as the full version of the app. However, these are the only options presented upfront, keeping information on the screen minimal. Since Uber Lite is an India-first launch for the company, it will also include support for 7 "most common" Indic languages in the future. Users will be able to select the language of their choice as a default and use the app in that language going forward. At the launch event, Uber executives told Digit.in that support for languages will be rolled out at a later date and that the company is also considering bringing regional language support to the full version of the app. Peter Deng, Head of Rider Experiences at Uber told us that the teams working on Uber Lite and the full fledged Uber app are closely collaborating to bring the best features to both versions of the app. Also, we were told that as of now, there are no plans to launch a lighter version of the driver-side Uber app. 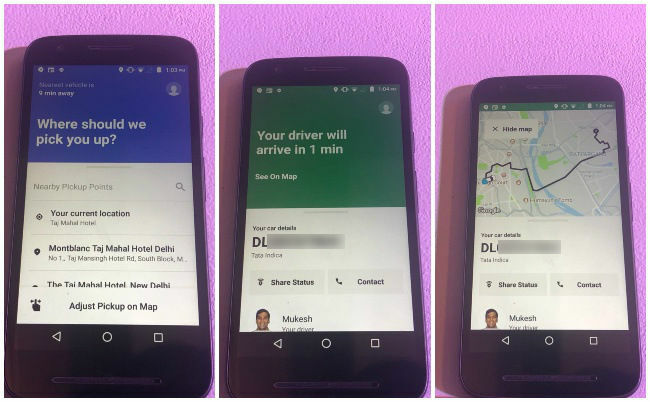 At the launch event, Uber noted that more than 80 percent of their user base in India is on the Android smartphone platform and on a global scale, more than 70 percent of Uber users have an Android phone older than 2014. In light of people still using low-end devices with limited storage, Uber thought up the lighter version of the app. Surprisingly, Uber did not milk the Android Go OS angle, given that the operating system is designed to support lighter apps. It did, however, mention that Uber Lite will work on devices with Android 4.1 and later. Uber's take on a lighter app comes months after homegrown ride hailing service Ola launched Ola Lite. Ola Lite was also marketed as a made for India solution and is a lightweight app that consumes less than 1MB of space. The app is also designed to load faster, within 3 seconds, without compromising on the cab booking experience. Uber Lite will be made available as a limited Beta release to users in the above mentioned Indian cities starting today. A wider rollout for the app is planned for a later date, including its global availability.